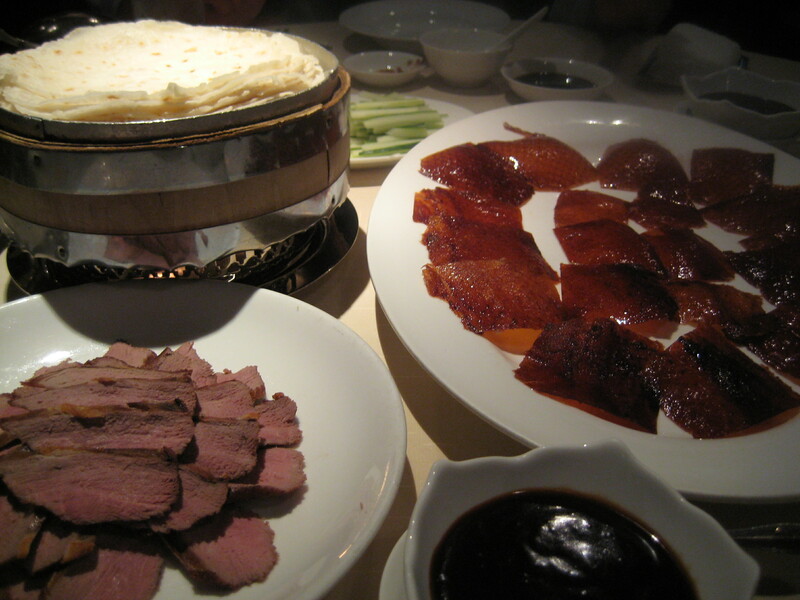 One of Hubby’s high school buddy, P, was in town for the week and wanted to meet up for some Peking duck. I thought of Spring Deer – old school, but as some of you may have experienced, there is a 2 – 3 weeks wait! Crazy I know! 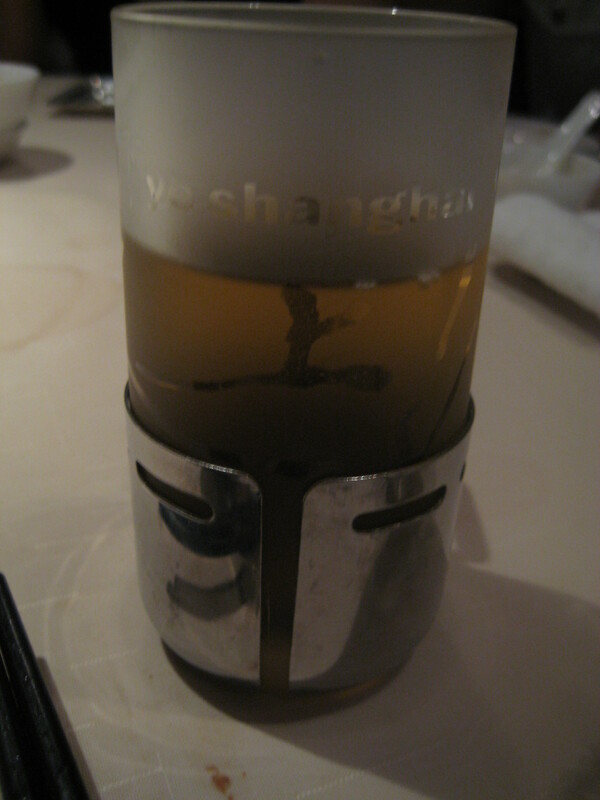 Unfortunately, P is not here for that long, and as I was keen to try Ye Shanghai, the decision was pretty much made. I got there a tad early, as I was shopping around TST, and was starved! Hubby was running a little late, so P and I had a chance to catch up! He plays the violin and is incredibly talented! He played at our wedding with three other violinists and was simply amazing! Hubby rocked up about 15 minutes later and we were definitely ready to order! 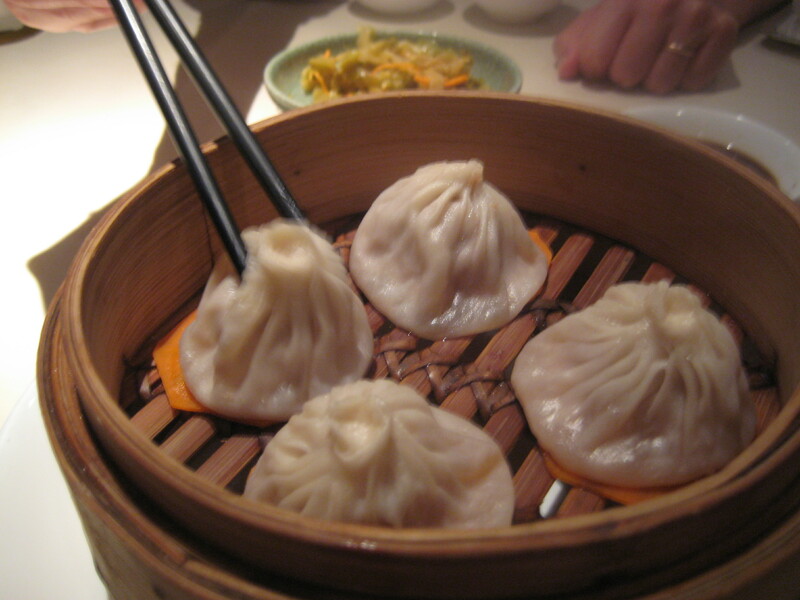 We started off with xiao long bau, and these were tasty, however, I thought the dough was a little thick. I still do prefer the xiao long bau at Di Tai Fung. 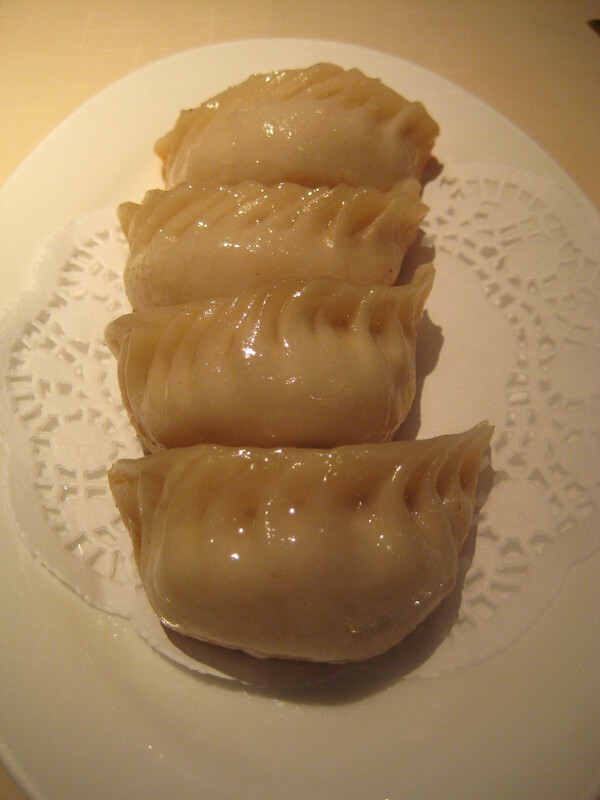 Next came the pork pan fried dumpling – dipped in chili and vinegar sauce, these were utterly amazing. A little oily, but it was good! 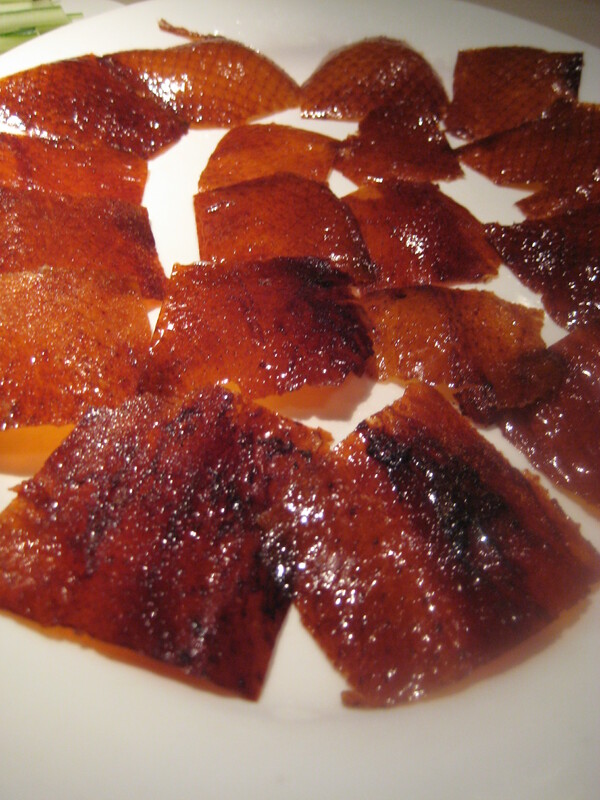 We ordered Peking Duck, (one course only) – the skin was cut thinly and incredibly crispy. It wasn’t fatty at all, and the skin was fantastic. 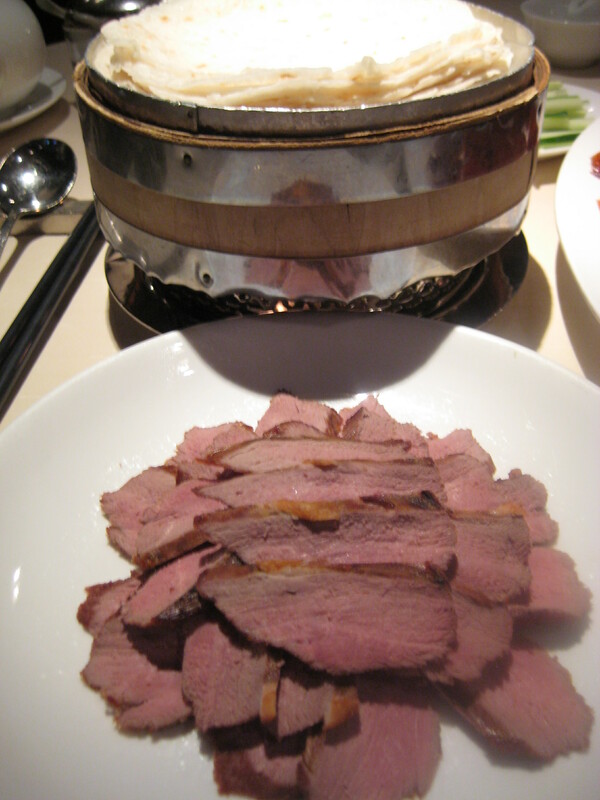 The duck meat was tender and succulent, and was cut and served separately. I love how the wrap skin was served in a bamboo basket with a bunsen burner at the bottom, keeping the skin warm. 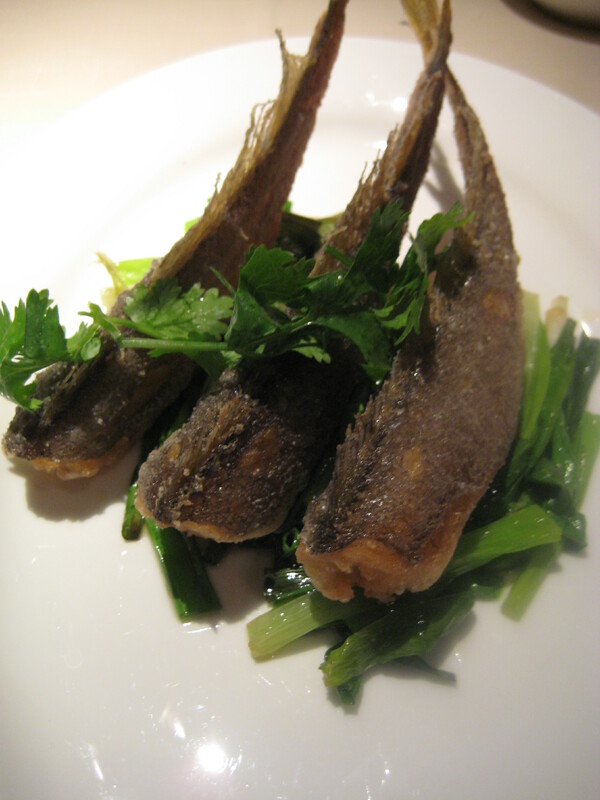 We also ordered deep fish which was crispy, moist with a hint of salt – it was fantastic. 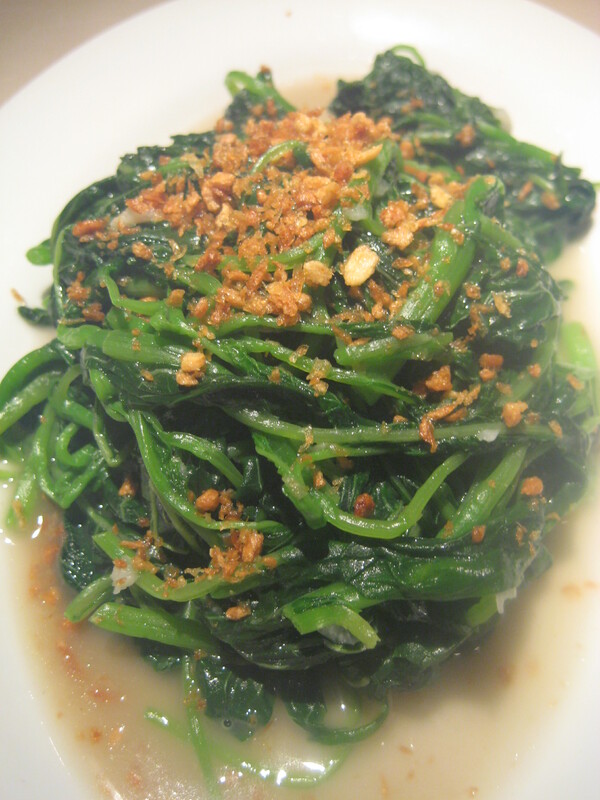 A meal is not complete without vegetables, so we ordered a plate of water spinach – cooked in garlic and sprinkled with fried onions, the water spinach was full of flavour and delicious. The food was authentic, fresh and full of flavours. The restaurant was a little dark for my liking, making it more of a romantic dining space. The menu extensive – if you can’t decide what you want, the set menus are reasonable and contains a little of everything. The service was fantastic, and waiters tentative. It was great catching up with P, he was on his way to Japan to meet his parents in law to be – hope it went well and it was great catching up with you! should have taken u guys here!